I've decided that every week I'm going to show you some things that I love this month, I will be featuring fashion, beauty and maybe even some home-ware things. I will be sure to link the websites that I found the items from so you can easily find them if you are thinking about buying them yourself! This homiés t-shirt is my fave! Urban Outfitters stock it for about £30 I think, but thanks to Barbara's youtube channel 'thepersianbabe', I found this on Ebay for only £8.99! And I love it, it would look great with some monochrome patterned trousers -exactly how Barbara styled it- and a either a bomber jacket or a bright coloured cardigan. I love sandal type heels as I think they are casual enough to be worn in the day, if I could I would wear heels every day but just living in a town I feel like it would be over the top. So classier heels like these would be perfect with a pair of skinny jeans and a jumper, and then I could get away with it! These shoes are from Forever 21 for only £19.75 which for a pair of 4.5 inch heels is very reasonable! 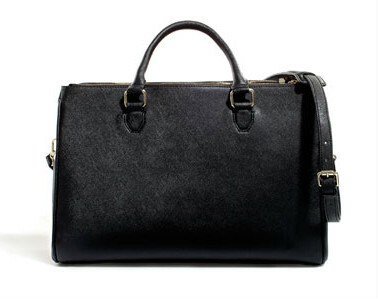 The ionic Zara office city bag, this is all over the blogging world so I'm sorry to be the millionth person that is going to rave about this, I've seen so many reviews and I still need a laptop case as I'm carrying it around in a plastic bag right now -opps-. But for £49.99, being a laptop case and a handbag, is definitely worth it. These dresses are incredible and are both from Motel Rocks, if you haven't checked out there website before you MUST! At the moment they are giving students a 25% discount, so get on there soon. 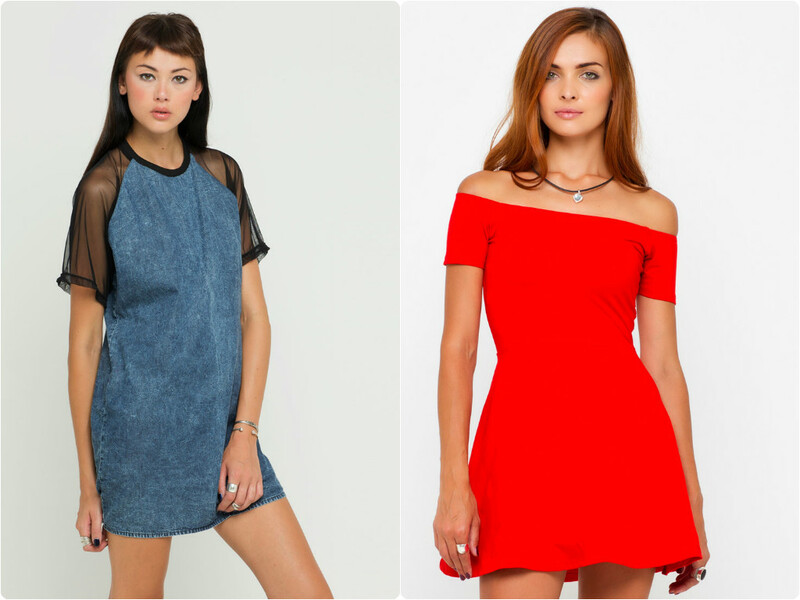 The denim dress with the chiffon sleeves is just so awesome, and with some Dr Martens, would be insane! The red dress is much more sophisticated and I was hoping to wear it to my Summer Ball -second prom but less fancy-, but I'm not too sure if I'm going to get it any-more cause I might try to find something more summery. Both dresses are £38 and I do find that a little expensive for my price range but maybe I'll treat myself. 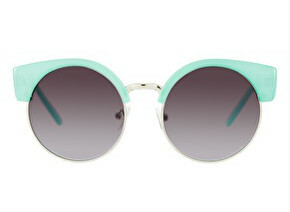 I have a slight addicted to sunnies at the moment, and these are just the cutest! The mint frames almost look like blue eyebrows and I just think they are a great addition to the standard round lenses. For only £12 from ASOS, I can't wait to be snapping these up! I have this beautiful watch from Kate Spade, her watches are just beautiful but I was particularly drawn to this beauty. 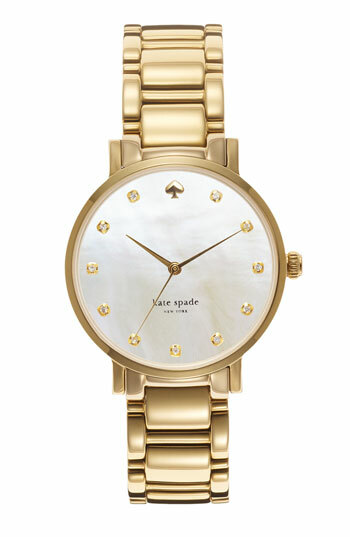 The mother of pearl back and the crystal gems around the clock-face contrasts with the heavy gold strap perfectly. 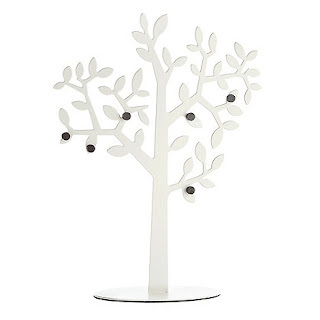 I did struggle to find this on a website that ships to the UK as it is an American site, I eventually found it on a website called Nordstrom for £172.88. 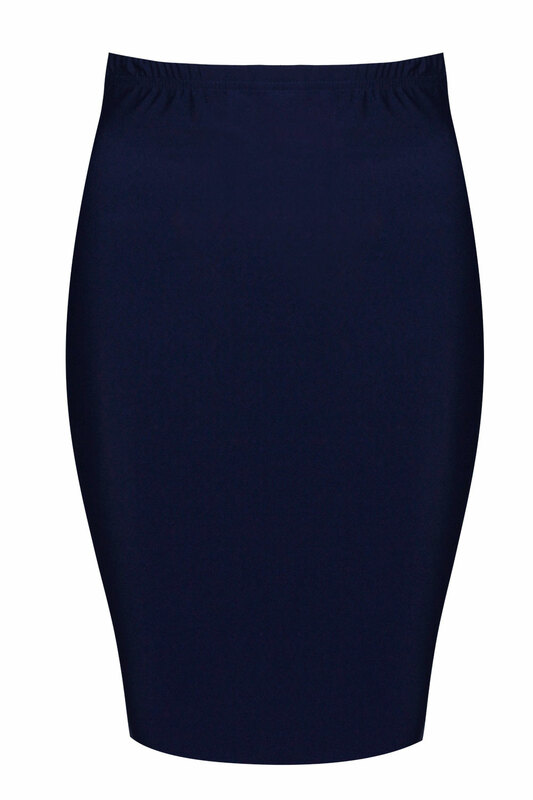 The last fashion piece I have is just this really basic midi skirt from Boohoo for only £10. I've wanted a midi skirt for a while now but I wasn't sure if it would suit me because of my height -it will probably be a ankle length skirt on me!- I just love the way that midi skirts look and this navy colour is perfect to pair with some bright crop tops and creepers. 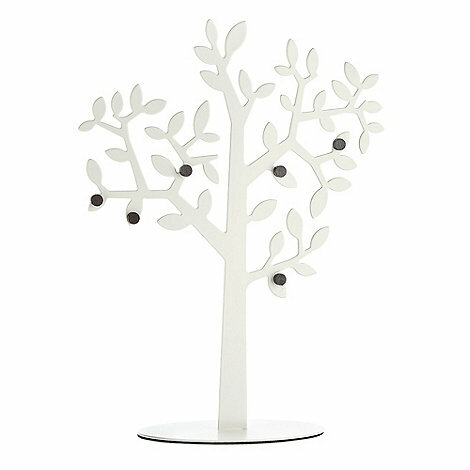 The final thing I have here is just this magnetic photo holder from Debenhams, I just think it is soooo cute and would look lovely on my computer desk, however for £20 I'm not sure I want to get it right now. Hope you enjoyed the first of this weekly edition, until next time, becciixx.